The Union of Greek Shipowners (UGS) has joined a growing war of words over the environmental benefit of using marine scrubbers as a route to IMO 2020 compliance, saying they have "questionable" environmental benefit. The tech will allow vessels to continue burning otherwise noncompliant HSFO when the global 0.50% sulfur cap on marine fuel comes into force from January 1, 2020. In a press release that focused on its commitment to a "successful transition" to the IMO 2020 rule, UGS also highlighted the upcoming challenges for the vast majority of vessels that will comply by burning compliant fuel. "We cannot turn a blind eye to the uncertainties regarding the availability and supply of MARPOL compliant fuels which are also SOLAS compliant, safe, fit-for-purpose and available worldwide, particularly in the bulk/tramp sector," said UGS President, Theodore Veniamis. "The option of achieving compliance through continued combustion of high-sulphur fuels with installed scrubbers, which in any case has questionable net environmental benefit, is the exception to the rule, especially in this sector due to its fundamental operational characteristics." Bulk/tramp shipping, which UGS says represents more than 83% of the world's seaborne trade in cargo ton-miles, by the very nature of its irregular itineraries must rely heavily on spot business for bunkering. Critics of scrubbers, such as the recently outspoken INTERTANKO, say scrubbers simply turn air pollution into sea pollution. 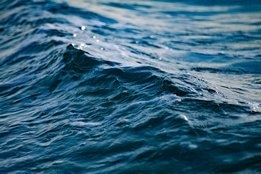 Advocates, including the recently formed marine scrubber advocacy group Clean Shipping Alliance 2020 (CSA2020), say there is no evidence scrubber wastewater is harmful to the marine environment.